I loved this print when it came out and I think this dress is really lovely. The 2 felt a little big so I might take my usual shift size of 0 but I'm not sure about that. You certainly don't want a dress like this to be tight. I really like that the back dips down a bit. This also just got a second cut to $89.99. My one problem is the ruffle but that is just a my personal taste thing. I may be out of luck with J Crew this season since everything seems to have ruffles on it. As far as ruffles go, this one is pretty inoffensive. I thought these were super cute. The cotton felt nice and like something that would stretch a bit with wear. The 4 was a little too big in the waist. But... the 2 was a little too sausagey so I would say these run slightly small. Here's what they looked like after sitting down in them so they are clearly prone to a bit of wrinkling. 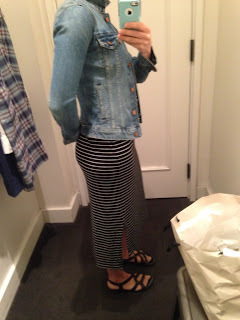 I don't really mind that with shorts but if you're planning on dressing them up you may want to think about that. I ordered this a long time ago because I think the flamingos are pretty darn cute. The problem is the material! It really does feel like a shower curtain - just so cheap! 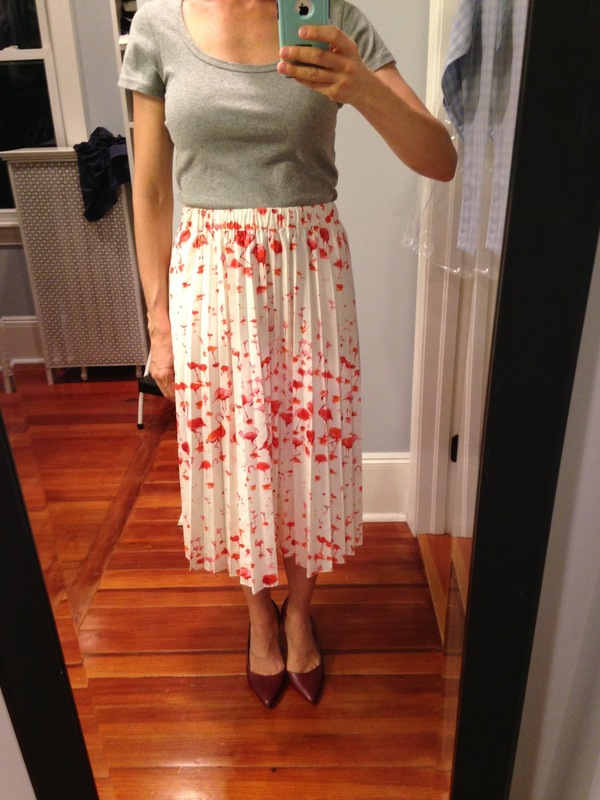 That being said, the pleats lay fairly well and the overall look is cute. 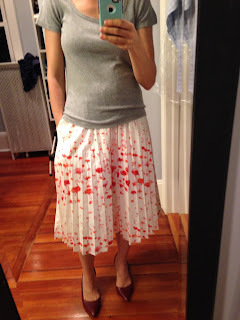 Last time I saw this skirt in the sale section I believe it was $34.99 + whatever percent off so if you love flamingos and midi skirts I say go for it. For under $30 it's fun to try something trendy even if the quality is subpar for J Crew. 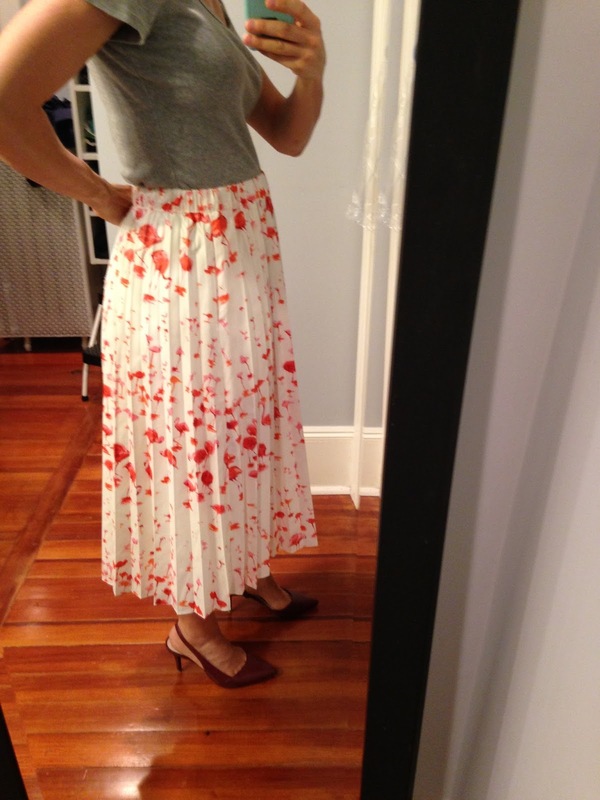 If you're looking for high end flamingos, how adorable is this little skirt? 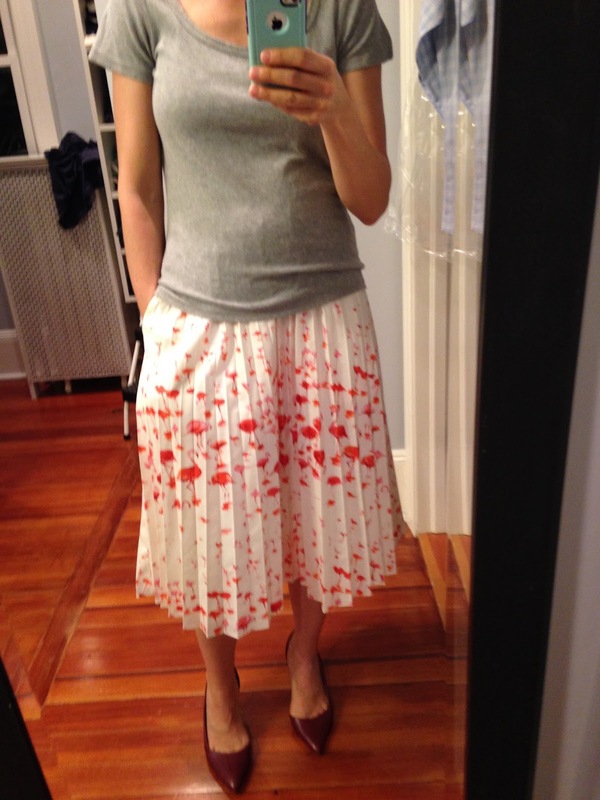 This Alice + Olivia one is adorable with it's long, leggy version of flamingos. This little ASOS t-shirt is adorable and I love that it combines stripes AND flamingos. 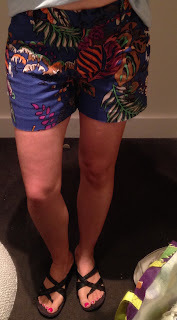 And these shorts might be my absolutely favorite with their adorable pink/green combo. 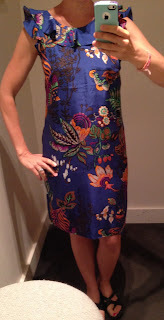 Or maybe this dress is the best version of the quirky bird (and the closest to the J Crew print). Whoops, sorry. Got sucked into a flamingo vortex. This was really cute although I would my normal size XS. I liked the length and the faded wash. 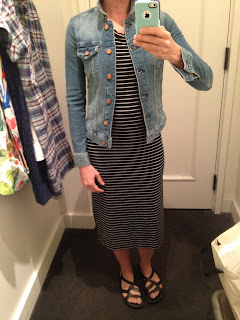 I think it's sold out now but I really like this J Crew denim jacket which I tried on a while ago (wish it would go on sale). Here's another one for your Flamingo black hole, if you haven't seen it already!